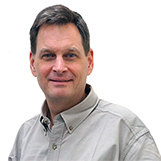 Both a Trial License and a Node-Locked Workstation License are bound to an individual computer. This means you cannot readily move the license from one computer to another. If you require the ability to run the software from multiple computers, then you need to get a floating network license. To activate a Trial License or Node-Locked Workstation License, first make certain that the software has been successfully installed on the computer it is to be run on. 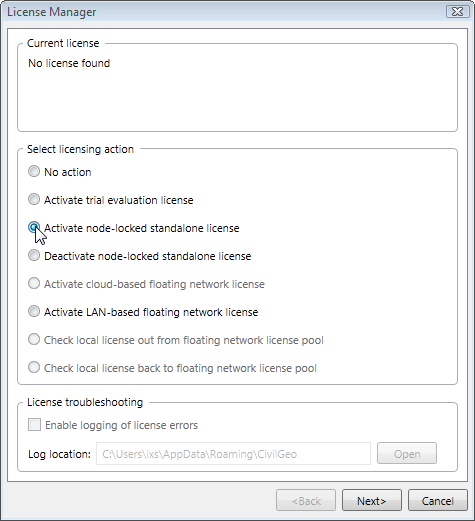 Choose the Activate Trial Evaluation License or Activate Node-Locked Standalone License option. Click on the [Next>] button. The read-only Workstation ID string will be displayed. Click on the [Copy] button. The Workstation ID string will then be copied on to the clipboard. 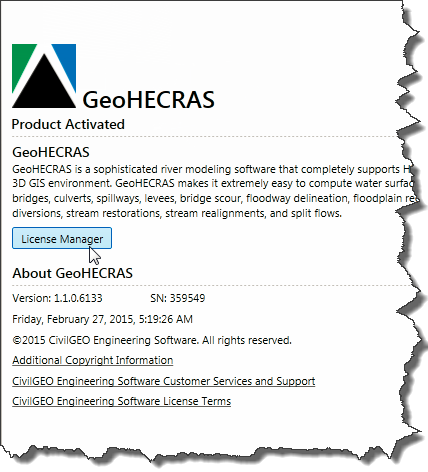 Provide the Workstation ID string to your CivilGEO account manager or technical support engineer at sales@civilgeo.com or support@civilgeo.com. A technical support representative will email you a a corresponding License Key that is specific to the computer that the software is installed on. Usually this occurs within a short period of time, but may take up to 24 hours during normal business days. You can call CivilGEO to expedite this process. 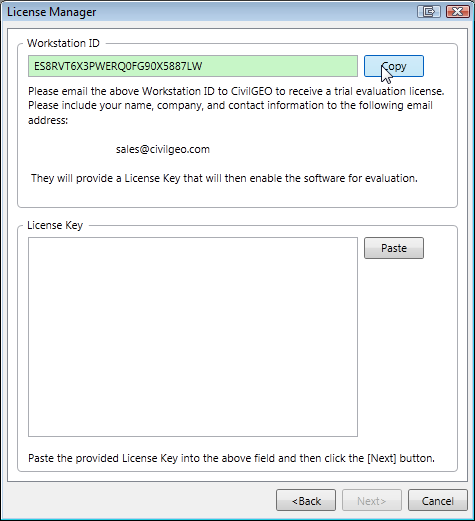 From within the License Manager, paste the provided License Key into the License Key field. Due to the length of the license key, it is recommended that you paste the license key directly into the field using the [Paste] button. Also, check that there are no empty spaces in the license key as this can prevent proper activation. Click on the [Next>] button. If the license validation fails, the below message dialog box will be displayed. If you receive the above message dialog box, then you will be returned to the previous screen. You can then re-enter a valid license key. If you continue to face issues, contact CivilGEO technical support. After the license key validation succeeds, the license information will be displayed. You can then start using the software. If you have any issues activating the license, contact our technical support. They will be glad to assist you further.